Last night I had the opportunity to hear one of my favorite authors, Elizabeth Gilbert, speak at an event here in Dallas. Like most author events, there was a Q&A at the end. One piece of advice she offered to one of the audience members was to write the book for someone specific. She cited her work on Eat, Pray, Love as an example, telling us that it started out as a letter; a letter to her friend Darcy. Darcy, she explained, would have a very specific interest in her around-the-world trip. The letter would contain meaningful messages for her intended audience. She went on to clarify that often when people approach her with projects, one of her first questions is always “Who is this book for?” and almost always, the would-be author then provides uninspired, banal demographic information. It immediately dawned on me that it’s easy to let our marketing efforts take the same approach. We have age ranges and target zip codes that help us target our mailings and emails. We use market trends and sales reports to shape our product development. We rely on income levels to set price points. The problem with these is that they oversimplify our customer. These data points, while salient, can lead us to neglect the human aspects of being a customer. Now if you’ve been following me for a while, you know that in reality, I love data. “In God we trust. All others must show data.” Data-driven analysis helps me take emotion out of decision making; it helps me overcome any bias or preconceived notions that I’m bringing to the table. But what if, for the sake of this blog if nothing else, we set aside our empirical data collection and just think about who our customer is? Can you name him? Do you know where he lives? What car he drives? Does he even care what car he drives? Why does he want your product? What problem are you solving for her? What is her number one concern? What types of products delight him? Is he purchasing it for someone else? When we think about our customer as a human being, it becomes more conducive to creating more meaningful messages. As Ms. Gilbert’s advice to that young author intimated, when an author speaks to a person, she inherently talks to everyone. When an author speaks to everyone, he talks to no one. So for your next marketing project, think about who your customer really will be. Create a profile for him or her and think about them as you begin to generate more meaningful messages. If you aren’t sure where to start in constructing your customer profiles, take a look at my previous blog on the topic. Everyone by now knows that social media engagement is, well, the key to social media success. I tell my clients, you don’t HAVE to be on social media, but, by all means, if you’re going to do it, you have to do it well. And to do it well you have to be regularly engaged, and in my opinion, it needs to be personal. There are a lot of shortcuts out there that can blast hundreds of posts out every day, but it doesn’t take long to spot them. And if you’re using them in the ways outlined below, it’s probably a sign that you could do a better job with your social media engagements. 1. Employing auto responses. Nothing irks me more than when I follow someone and I get a completely irrelevant response. As a healthcare marketer I often follow a variety of topics related to healthcare. A recent canned reply thanked me for the follow (fine, boring, but fine) but then went on to offer to help me with my practice. Um… I’m not a doctor, and I don’t even play one on TV. I probably shouldn’t have been incensed but I kind of was. The Twitter universe is HUGE — to actively be so narrow in your expectation of who will follow you, can risk putting off media, investors and amazingly talented marketing consultants who now think you have nothing to say to them. SOLUTION: Sound like a human! Question why you think you need an auto response. How many legitimate follows are you getting? And if it’s too many to filter the hay from the chaff then, well I guess kudos, but I tend to think you’re probably falling behind when it comes to your engagement efforts. Step it up and reply to the good ones personally. SOLUTION: Schedule your posts because no one has time to spend hours every day doing it, but make sure to spend an hour or so throughout the day engaging with real time content. Whether you’re retweeting with a response or posting a pic of your workspace it helps show your brand’s personality. I like to use my train time to do my “real time” social media: 20 mins a couple times a day is all it takes to prove you’re real and that you’re listening. 3. Turning over too much of your engagement and monitoring to automation. Very similar to the automated replies, bots get fooled, hashtags get hijacked, timing can get bad. Rather than recapping them I offer for your reading pleasure this article from 2014 and this one from Social Media Week. SOLUTION: You have to monitor your social media and be prepared to adjust as you go, even for a small business or startup. 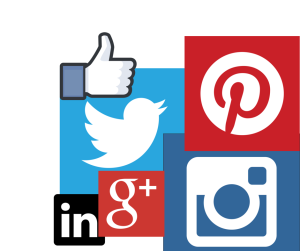 A good social media consultant can execute very good social media management work for you for about a couple hundred bucks a week. As you’re planning the 3rd and 4th quarter social media, keep these solutions in mind. You’ll likely find that your overall engagement will increase without much of a time investment: should be a great ROI! 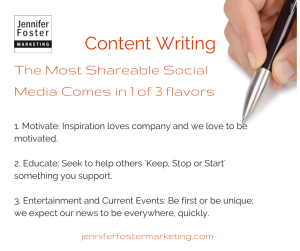 The most shareable social media need to be relevant to the reader’s emotions. This past week I was working on a digital marketing proposal for a client. A key element of this plan, or any plan that I’d put together is content: creating good content drives just about any avenue. And bad content won’t be saved by any of them. Content factors break easily down into the old “Who, What, Where, When and Why”. Millennials like to say they’re changing marketing by demanding that it be relevant. As a long-time marketer, my take? It’s always been necessary to make marketing relevant — at least if you wanted to be any good at it. When it comes to making content shareable this is a huge measurement of relevancy. What is relevant gets shared. Know your audience and understand what they expect you to talk about. If you’re reading this blog or follow me on social media, you know I like to talk about marketing fundamentals and how to integrate them into today’s vehicles. My social media shares tend to be things that I like and believe in. What do you expect your reader to do based on the information? Generally, I think of social media as my public relations. I don’t expect this blog or that Tweet to convert to a $7k per month retainer (but a girl can dream, eh?) Rather my social media is how I relate to all you and hopefully establish myself as an expert in your minds and hearts. When is the right time to share? This is where your forecasting comes in handy. In all likelihood your business has some level of seasonality to it. For me, marketing budgets are set in 3rd and 4th quarters and plans are in place by May or June. Meaning if I’m not in the door in the next few weeks, I won’t see a return until 2016. How can your content help me? It’s no secret that readers are much more likely to click and share if your headline includes words like “Top 10 Lists” or “6 Steps to ____”. We’re all busy and we need help from people we think have good ideas and effective solutions. 1. Motivate: Inspiration loves Company We love to be inspired. If I had a dollar for every motivational quote in my collective newsfeeds, well, let’s just say the retainer mentioned above wouldn’t need to be as big. 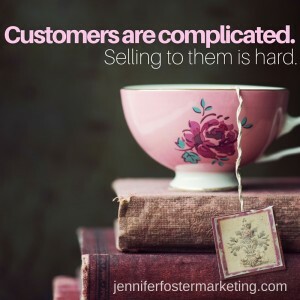 Sometimes motivation for marketers comes in the form of making a sale (yep, sometimes). So leverage your content to help create or cement a need within your readers’ minds. 2. Educate: Keep, Stop, Start In doing my research for this blog I looked back over my personal shares and nearly all of them intend to help someone learn something. Start using an online app to raise money for pet shelters when you walk your dog, stop eating processed food, keep promoting the good deeds of my favorite political candidate. I share what I care about. So do your customers. 3. Entertainment and Current Events Last week when the royal princess was born, I was a bit irritated that no one had shared this. It was Saturday morning and I hadn’t turned on the TV yet, but of course I’d checked my various news feeds, probably more than once if the truth be told. There was no mention of this sweet new baby girl for nearly 2 hours! Imagine that?!?! If you’re like me, we expect our news to be everywhere, quickly. And if you can’t be first, you need to be unique. The secret sauce: combine these flavors — a neapolitan social media strategy if you will — and you’ll hit the emotional sweet spot! Remember the inspirational story of the man who walked an extreme distance to or from work? It was a social media trend topic that THEN became a current event. Presto! Would love to see your content ideas. Tweet me @jrfoster75231 or post your comments below.